Cryopreservation provides a safe path for preserving the quality and protection of the genome edited mouse line for any potential projected future experiments. The freezing of mature spermatozoa has become a viable alternative to embryo cryopreservation. Freezing sperm is more cost effective and less labor intensive than freezing embryos. Improved protocols developed by The Jackson Laboratories have enhanced previous methods of sperm cryopreservation and reconstitution. The improved protocols yield a higher percent viability than when cryopreserving sperm in cryovials. The investigator is responsible for providing a complete description of the mouse line to be cryopreserved (strain, genotype, etc.). Upon completing the appropriate form and online documentation of the mouse line to be cryopreserved, sperm is obtained from the epididymides and vas deferentia of a male transgenic or knock-out mouse and cryopreserved. 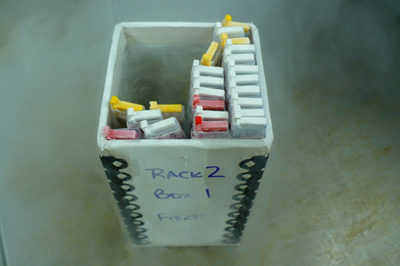 Straws of frozen sperm are stored in liquid nitrogen storage tanks. A yearly storage fee applies for each line stored. These tanks are monitored weekly by personnel of the resource, and cannot be accessed by other individuals. Sperm cryopreservation requires two male mice that are proven breeders from your colony. This cryopreservation service includes the quality control check of thawing one or two straws of sperm and performing a small scale IVF to produce 2-cell stage embryos. PI submits transfer request through DAC for males to be moved on cryopreservation date to Vanderbilt Genome Editing Resource procedure room. Cryopreservation provides a safe path for preserving the quality and protection of the transgenic line for any potential projected future experiments. The investigator is responsible for providing a complete description of the mouse line to be cryopreserved (strain, genotype, etc.) Wildtype (purchased) female mice are superovulated and mated with a minimum of 8 heterozygous or 7 homozygous male stud mice between the ages of 2-6 months that are provided by the investigator. From these matings a minimum of 250 heterozygous or 150 homozygous embryos are harvested and cryopreserved. This service is recommended for homozygous lines or lines with multiple genetic mutations. Embryos are cryopreserved at the 2-cell to blastocyst stage in straws. 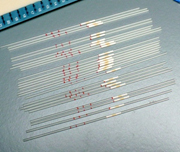 There is a higher percent viability cryopreserving in straws versus cryovials. Two cell embryos have a higher survival rate than 8-cells embryos because they are less susceptible to osmotic shock. Embryos can also be cryopreserved after performing an in vitro fertilization. Fresh or frozen sperm is cultured with wildtype eggs donated from superovulated females. The resulting fertilized embryos can be transferred to produce live pups or can be cryopreserved at the two-cell stage. Frozen embryos are stored in liquid nitrogen storage tanks. A yearly storage fee applies for each line. These tanks are monitored weekly by personnel of the resource, and cannot be accessed by other individuals. VGER submits transfer requests through DAC for superovulated females to be moved on specified dates to the room where the stud males are located for mating overnight. 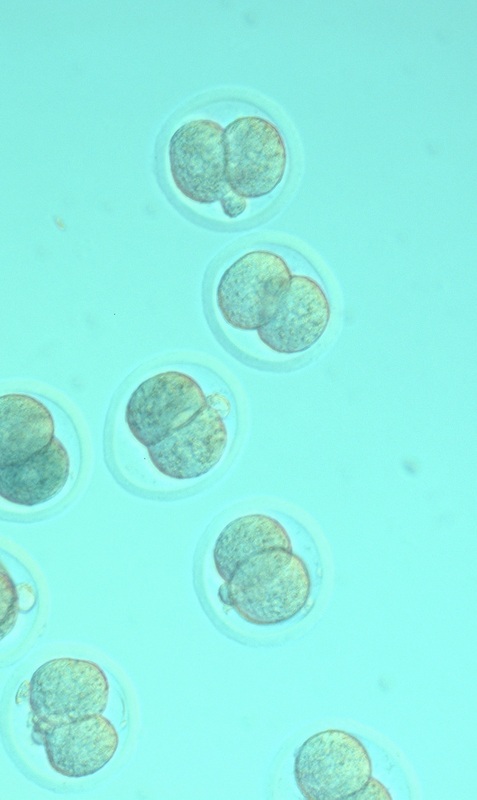 Embryos at the 2-cell stage. 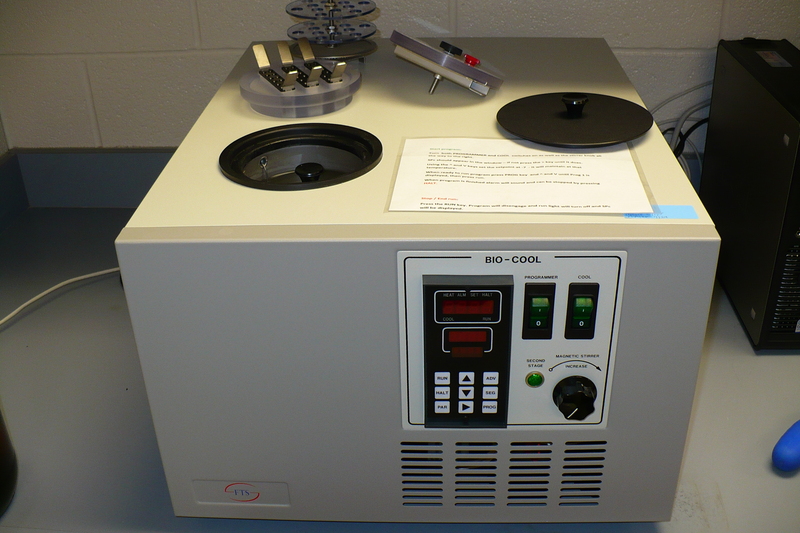 Biocool freezer used for embryo cryopreservation. Liquid nitrogen storage box containing cassettes and straws.